I have been really loving the fresh blueberries this season. Summer fruit is the best and it’s sad it is almost over. Although, a good idea is to stock up on fresh fruit now and then freeze it so you have it all through the winter! 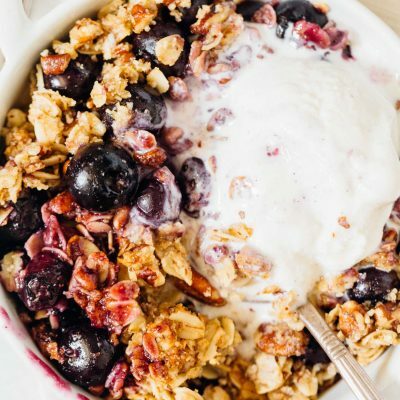 This blueberry pecan crumble would be an exceptional dessert to serve in the winter when you’re craving summer’s bounty. 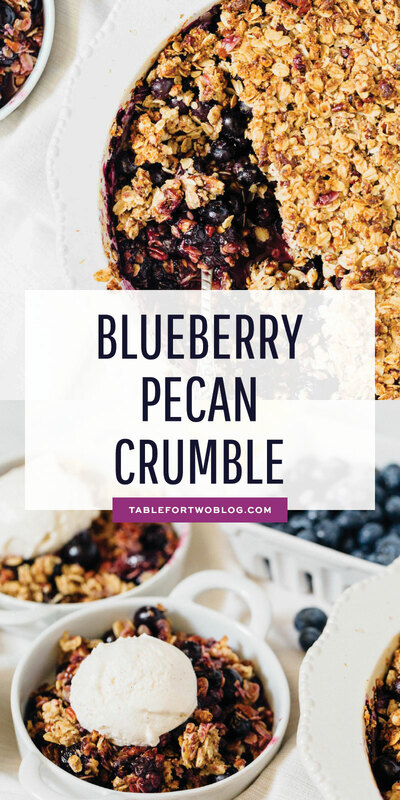 How easy is this blueberry pecan crumble to make? Super duper easy! As with all crumbles are! You just dump the fruit into your pie dish and mix it together with some lemon juice, cornstarch, and natural sweetener such as maple syrup and that’s it! The topping is easy to put together too. Just some fat and cinnamon and pile it mile high! I love everything mile high. My crisps, crumbles, muffin tops, bread loaves, cupcakes (plus frosting). There is nothing better than pulling a baked good out of the oven with a mile high topping. Oh, actually, just kidding there is. 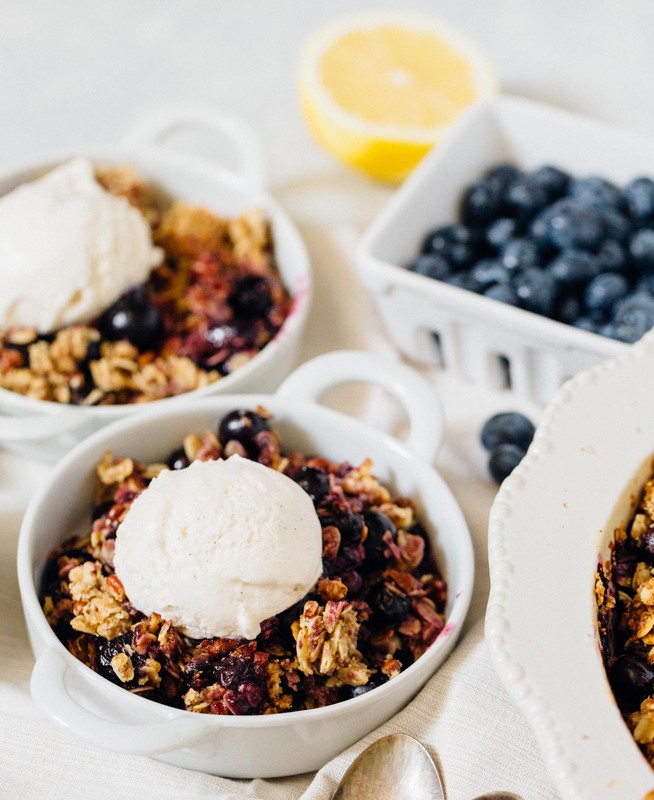 Topping a warm crisp or crumble straight out of the oven with a giant scoop of ice cream. Omg, it’s the perfect decadence! 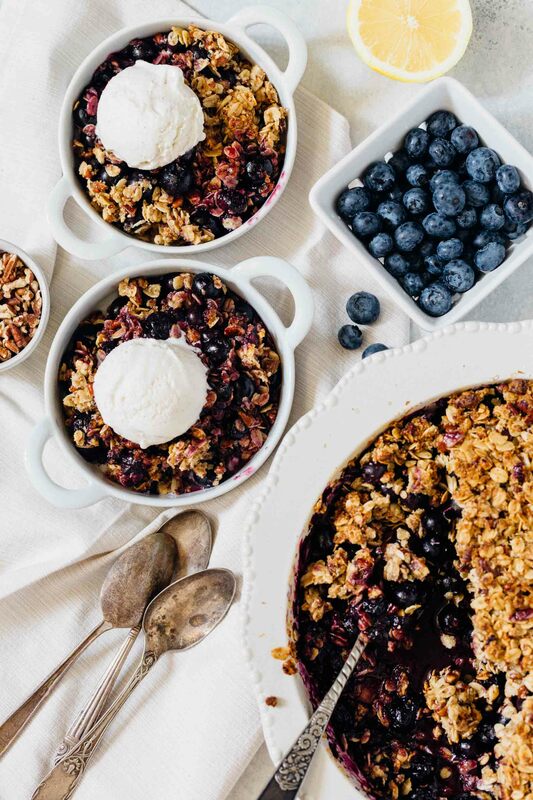 Anyway, this blueberry pecan crumble would be the perfect ending to a dinner party or a simple dessert to bring to a friend’s house! Only you will know how long it took to make. Well, until everyone asks for the recipe! 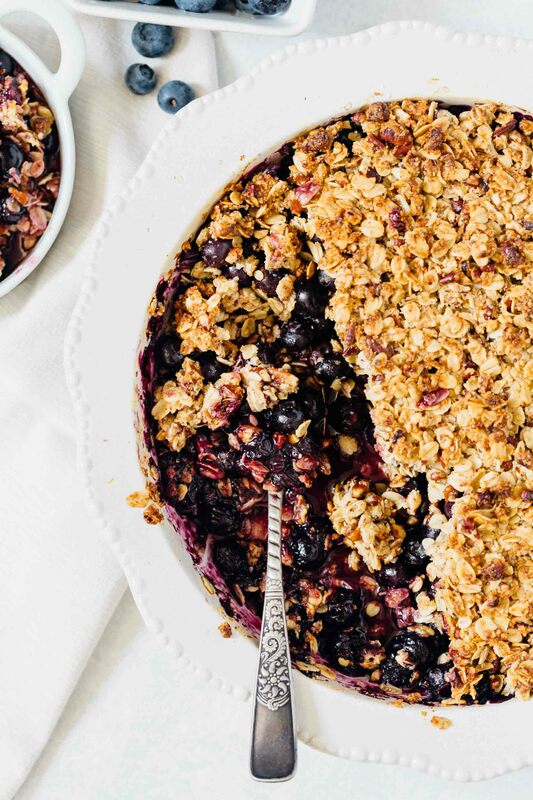 We had our friends over with their young toddlers and shared this crumble together and I can tell you that this is definitely kid-approved! The perfect summertime dessert! It will be a crowd-pleaser! Rinse the blueberries and pick through them to get rid of bad ones and remove stems, if visible. Drain well. 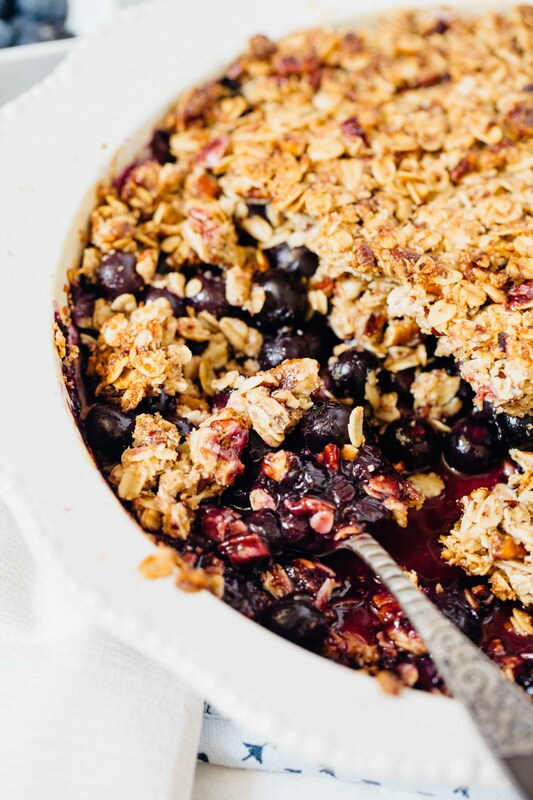 Place blueberries in a 9-inch round, oven-safe pie dish. Then add the maple syrup, lemon juice, lemon zest, cornstarch, and cinnamon. Gently stir to incorporate. Set aside. In a large bowl, add the oats, almond flour, brown sugar, salt, and pecans. Pour the melted butter on top and stir together with a spatula until everything is moistened throughout. Gently pour the topping on top of the blueberries and gently pat down if it's getting too high. 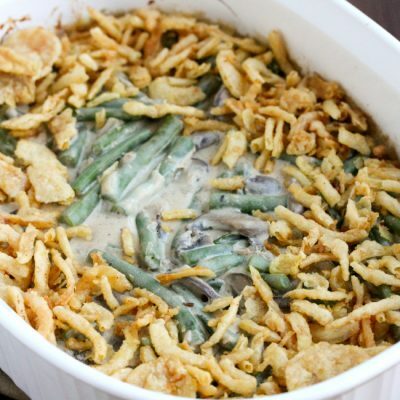 Place pie dish on a large baking sheet for easier transfer to and from the oven. Bake for 50 minutes, or until the filling is bubbly and the crust is browned. Let sit for 10 minutes before serving with a giant scoop of your favorite ice cream on top! 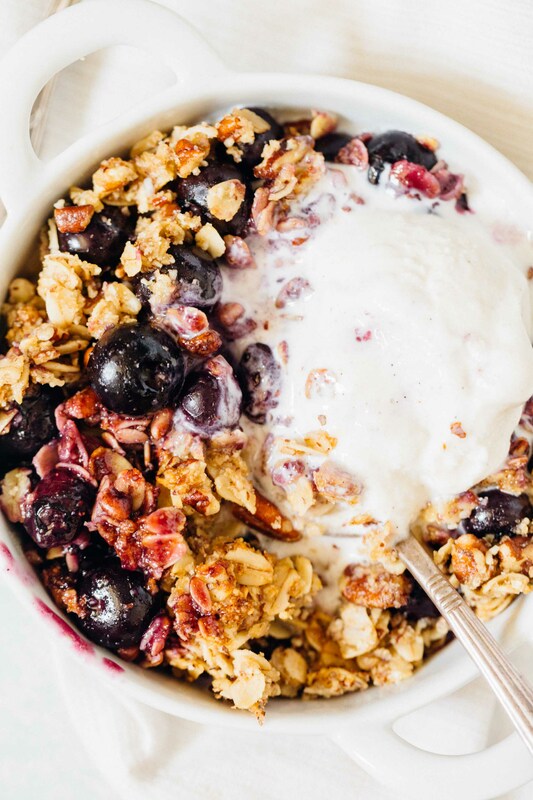 I highly recommend using fresh blueberries for this recipe. If you choose to use frozen blueberries, you may need more cornstarch as there is extra liquid in the frozen blueberries. Hello from the mile-high city! I know. I had to do it. 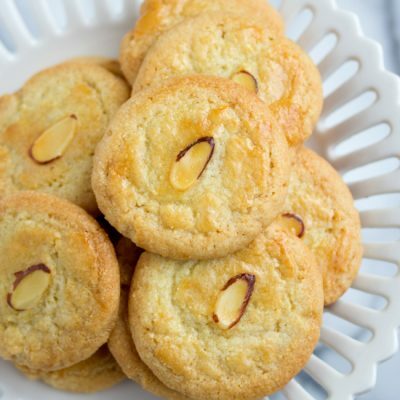 Looks amazing and I love the addition of almond flour to the to the topping. 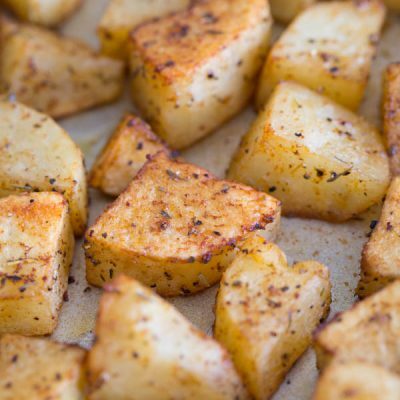 I agree-crisps are better with tons of topping!